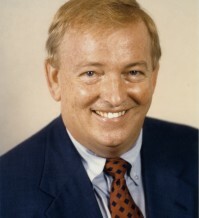 John I. Wilson, a long-time special education teacher and association leader, was executive director of the National Education Association from November 1, 2000 to August 31, 2011. The nation's largest teachers union, NEA also represents education support professionals, higher education faculty, school administrators, retired educators, and education students who plan to become teachers. At the time of Wilson's tenure, NEA had over 3.2 million members and a budget of $350 million dollars. While at NEA, Wilson championed a minimum salary of $40,000 for every teacher and a living wage for Education Support Professionals (ESP). He also launched an NEA initiative to engage the best teachers in sharing ideas on staffing high-poverty, low achieving schools with the most accomplished teachers. Wilson has chaired the Partnership for 21st Century Skills, a coalition of businesses and education groups that advocates for every child in America to graduate from high school with 21st century skills. The 3E Institute presented him with the Educator 500 President’s Award in 2006 for being “a true entrepreneurial educator.”Wilson has also chaired the Learning First Alliance, a partnership of leading education organizations with more than 10 million members dedicated to improving student learning in America’s public schools. Prior to assuming the highest staff position at NEA headquarters, Wilson served the Association as president and executive director of the North Carolina Association of Educators (NCAE). With Wilson at the helm of this NEA state affiliate, NCAE strengthened teacher training systems, professional development programs, teacher compensation, and teacher recruitment. His accomplishments include the development of new support systems for teachers pursuing certification by the National Board for Professional Teaching Standards. As a result, today North Carolina has more National Board-certified teachers and candidates than any other state. In addition, Wilson led a successful campaign that raised North Carolina teacher salaries from 43rd to 23rd in the nation, and he helped establish the North Carolina Teacher Academy, a state-funded program that provided high-quality teacher professional development. Since his retirement, Wilson has continued to serve his profession. He was a Senior Fellow with the Pearson Foundation from 2011 to 2014. He was the chair of the Advisory Committee for Purple America and served as an advisor to the HOPE Foundation. Currently, Wilson sits on the board of directors for the Center for Teaching Quality, the NC Justice Center, and the Digital Learning Institute. He is Vice Chair for the NC Foundation for Public School Children. A true North Carolinian, Wilson was born in Burlington, North Carolina. He graduated with a Bachelor of Science degree in education from Western Carolina University and received a master's degree in education from the University of North Carolina. Wilson loves mystery novels and is a voracious reader. He "lives and breathes politics" and is an avid Tar Heel fan.